The Kaplan Educational Foundation’s Your 2019 Guide to College Transfer is a comprehensive handbook profiling top schools for transfer across the United States, serving as a resource for students and school advisors to navigate the entire transfer process, from application to enrollment. For students who always planned to transfer credits as well as those who just realized there’s a better path to their bachelor’s degrees, this guide has all the information needed to assess educational options and choose the right school, including in-depth school profiles containing transfer admissions policies, financial aid information, and descriptions of resources available specifically for transfer students. 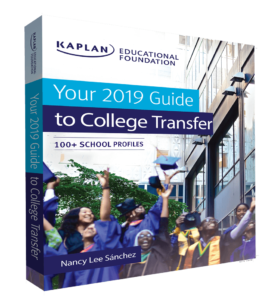 Now in its second edition, this guide contains over a decade of the Foundation’s expertise in helping students successfully transfer to competitive four-year colleges and universities. Your Guide to College Transfer profiles 100+ top schools in the U.S. for all kinds of transfer students, with specialized advice for non-traditional and online students, including veterans, students raising families, and students with DACA/Undocumented status. Also available for instructors and advisors: a comprehensive textbook edition that includes worksheets you can use to help guide students to be successful in their transfer process and thrive at their pre-transfer and post-transfer schools. "I see this guide as a roadmap for transfer students and their families ... [and] as a resource for educators who are looking for new and better ways to meet the unique needs of transfer students." Nancy Lee Sánchez, is Executive Director for the Kaplan Educational Foundation. She has over 19 years of expertise providing greater access to higher education, improving the college experience, and supporting leadership among low-income, underrepresented, and non-traditional students through collaborative partnerships and services that directly target factors affecting degree-attainment gaps. 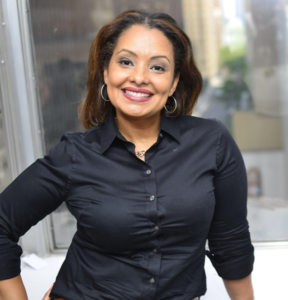 As a leader in transfer education, she has been featured as an expert in media including Forbes, PBS NewsHour, MarketWatch, Sirius XM, and more, and as a featured speaker in conferences focused on diversity, access, and success in college attainment. Her work has been recognized by the National Institute for the Study of Transfer Students, receiving their 2018 Catalyst Award, and City & State, receiving their Corporate Social Responsibility Award. "The go-to guide for students planning their transfer pathway. [...] This second edition has been updated cover-to-cover to provide timely resources." The Kaplan Educational Foundation is a 501(c)3 public charity initially established with the support of a generous endowment funded by Kaplan, Inc. executives. In 2006, the Kaplan Educational Foundation launched the Kaplan Leadership Program (KLP). It is a highly comprehensive program designed to provide financial aid, academic support, leadership skills development, and cultural enrichment. The program’s unique and trailblazing model is filling a gap among an often overlooked population of students: low-income, high-potential, underrepresented community college students. KLP Scholars are attending highly competitive four-year schools while program alumni have graduated with honors, landed notable positions in their fields of interest, and earned degrees from highly selective graduate schools.